Are you looking for a company that produces durable and high quality fine art canvas prints? Then Superchrome. is the right place for you. 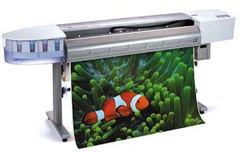 We are one of the leading large format digital printing companies offering a wide range of printing services. All our prints are characterized by absolute UV resistance, longevity and fade resistance. Fine art canvas print is a new trend in the art industry. As it highlights superb fine art quality, it is gaining wide popularity among the art lovers. Specialists in fine art canvas printing, Superchrome directly reproduce artworks onto canvas using a variety of printing techniques. Our different types of canvas include water resistant, fast dry glossy, heavy or light, fast dry matte, and coated cotton. By utilizing the highest quality materials and methods, all our works are guaranteed and produced to exacting standards. Here at Superchrome, we have the best combination of technology and creativity that helps us to stand-out from our competitors. Our large format digital printers, high resolution inkjet technology, and the latest software produce smooth tonalities and high color resolutions. Combined with the pigment based inks, your prints are guaranteed to remain crisp and vibrant for many years. The prints are heat-sealed for ultimate protection against scratches and splashes. Superchrome provides both framed and unframed fine art canvas prints. We can print the art works on canvas and then carefully frame it onto a wood or metallic frame providing a superior appearance. Unframed matted fine art canvas prints with archival foam core backings make your print remains protected while traveling at a long distance. At Superchrome, all our fine art canvas prints are great as photo gifts for people of all ages. You can select a wide variety of prints from our gallery. We also specialize in personalized or custom fine art canvas prints. We create these prints with your selected image. You can make your canvas prints perfect with a choice of sides, effects and image enhancements. For this we provide a range of textures and densities. If you would like to know more about fine art canvas print, any of the projects shown or if you want to discuss any project you have coming up then contact us 020 7237 9333 or fax 020 7237 9444 or email sales@superchrome.co.uk. Our experienced personnel would be able to guide you appropriately.